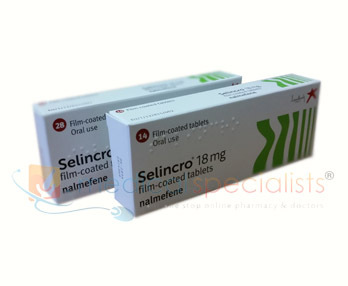 Selincro is medicine that contains the active ingredient nalmefene. It is available as tablets (18 mg) and is used to help reduce alcohol consumption in adults with alcohol dependence who consume more than 60 grams of alcohol a day (for men) or more than 40 grams of alcohol a day (for women). 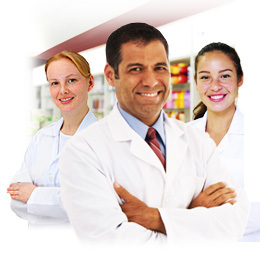 There is no risk of becoming dependent on Selincro. This medication is available for people who do not have physical withdrawal symptoms and who do not require immediate detoxification. You must record at least 2 weeks of your alcohol consumption before taking your online consultation. 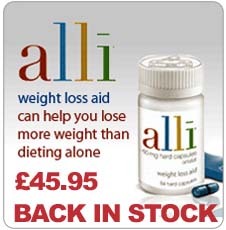 Our Doctors advise that patients taking this medication for the first time have only 14 tablets. Once it has been established that the medication is suitable, then 14 or 28 tablets may then be requested. The active substance in Selincro, nalmefene, attaches to certain opioid receptors in the brain. Opioid receptors play a role in addiction and, by attaching to them and modifying their activity, nalmefene helps reduce the urge to drink in people accustomed to large amounts of alcohol. Selincro does not prevent the intoxicating effects of alcohol. A standard drink of alcohol is defined as a number of grams of pure alcohol with in that drink. A standard drink contains 10 grams of pure alcohol. Below is a guide line of what is classed as a standard drink. Where can I buy Selincro online? 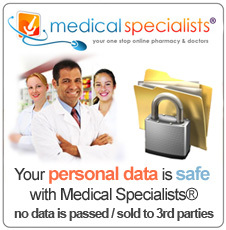 You can buy Selincro with or without a prescription at Medical Specialists, after completing a simple online consultation. Just complete an online consultation by clicking the orange button above. 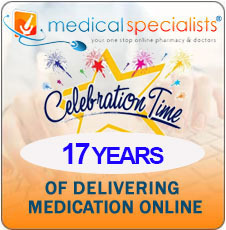 We are the UK’s leading online supplier of prescription medication in the UK and our pharmacy is regulated by the Royal Pharmaceutical Society of Great Britain. 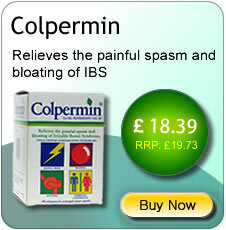 Like all medicines, this medicine can cause Side Effects, although not everybody gets them. Few cases of Side Effects of seeing, hearing or sensing things that are not there or feeling detached from oneself have been reported. However, the frequency of these Side Effects cannot be estimated from the available data. The Side Effects reported with Selincro were mainly mild or moderate, occurred at the beginning of treatment and lasted for a few hours to a few days. If you continue treatment with Selincro, or start again after a break in treatment, you will probably not have Side Effects. In some cases, it may be difficult for you to distinguish Side Effects from the symptoms you may feel when you reduce your alcohol consumption. At this time, the frequency of these Side Effects cannot be estimated from the available data. Talk to your doctor or pharmacist before taking Selincro. Inform your doctor about any other diseases you may have, for example, depression, seizure, liver or kidney disease. If you and your doctor have decided that your immediate goal is abstinence (not drinking any alcohol), you should not take Selincro because Selincro is indicated for reduction of alcohol consumption. If you require emergency medical attention, tell your doctor that you are taking Selincro. Your use of Selincro may affect your doctor’s choice of emergency treatment. If you are going to have a surgical procedure, talk to your doctor at least 1 week before the procedure. You may need to stop taking Selincro temporarily. If you feel detached from yourself, see or hear things that are not there, and this continues to recur for more than a few days, stop taking Selincro and talk to your doctor. If you are 65 years old or above, talk to your doctor or pharmacist before taking Selincro. Selincro should not be used in children or adolescents below the age of 18 years because Selincro has not been tested in this age group. Tell your doctor or pharmacist if you are taking, have recently taken or might take any other medicines, including medicines obtained without a prescription. Caution should be excercised when taking medicines such as diclofenac (antiinflammatory medicine used to treat, for example, muscle pain), fluconazole (antibiotic used to treat diseases caused by some types of fungus), omeprazole (medicine used to block the production of acid in the stomach), or rifampicin (antibiotic used to treat diseases caused by some types of bacteria) together with Selincro. If you take medicines containing opioids, the effects of these medicines will be reduced, or the medicines may not work at all if you take them together with Selincro. 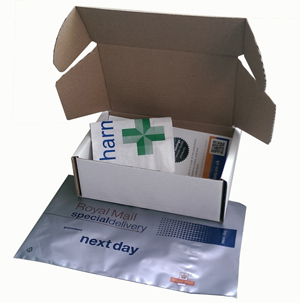 These medicines include certain types of cough and cold medicines, certain medicines for diarrhoea and strong pain killers. Selincro does not prevent the intoxicating effects of alcohol. If you are pregnant or breast-feeding, think you may be pregnant or are planning to have a baby, ask your doctor or pharmacist for advice before taking this medicine. It is not known if Selincro is safe to use during pregnancy and breast-feeding. Selincro is not recommended if you are pregnant. If you are breast-feeding, you and your doctor should make a decision whether to discontinue breast-feeding or to discontinue Selincro therapy, taking into account the benefit of breastfeeding to the child and the benefit of therapy to you. The effects of this medicine on the ability to drive and use machines have not been studied. Selincro may cause Side Effects such as nausea, dizziness, insomnia, and headache. The majority of these reactions were mild or moderate, occurred at the beginning of treatment and lasted for a few hours to a few days. These Side Effects may affect your skills when driving or doing anything that requires you to be alert, including operating machinery.